An article from the National Catholic Register titled, “The 12 Most Popular Catholic Buts” inspired this post today. Although brief, the article paints a clear picture of the the attitude and perspective of a lot of “Catholics” nowadays. Many people live their lives thinking that Catholicism or even Christianity is like eating in a buffet where you are free to choose which food to eat and which not to eat–that they can just freely pick the aspects of Catholicism that they want to follow. This attitude is termed by some writers as “selective Catholicism.” Simply put, a selective Catholic is someone who just chooses a few bits and pieces of doctrines and teachings the church and the Bible to believe in, adhere to and live by. For instance, someone who says, “I’m a Catholic but I don’t go to church” or “I’m a Catholic but I don’t find value in confession.” My opinion, selective Catholicism is not okay. We shouldn’t be watering down our faith by saying what is and is not important. Everything about the Catholic faith is important. Being a follower of Christ requires you to live your life just as Christ lived his. We have the Bible and the doctrines of the Church to guide us. The Lord has laid down his commandments in hopes that we will live by them and find ourselves worthy of life eternal in the end. The choice is whether we will follow his words or the dictation of our erring minds. Selective Catholicism is not okay. This is not a buffet, this is our faith! I recently read a really great post on Catholic Bandita. The post was titled, “How to Practice Catholicism”, and it starts off by pointing out the difference between being Catholic and being a practicing Catholic. I think we can all relate to this, as we all certainly know people who fall into both categories. The article then moves on to what it means to be a saint. Being a saint means loving Jesus, according to the article, and I found that was definitely an accurate description. The main point of the article was that you need to know Jesus to be able to love him and project his image to the world. There is a good amount you can learn about Jesus from studying, however you also need to pray often. Through prayer you can learn so much about Jesus and, in turn, yourself. The more personal your relationship becomes with Christ, the easier it will be to project his image to the world. I thought that this post by Lisa Graas was exceptional and I wanted to share it’s main idea with all of you. Check out her blog Catholic Bandita when you get a chance, it is fantastic. I think it is always nice to hear from people who have converted to Catholicism. Being raised as a Catholic I don’t necessarily have the exact same experiences as them, and I love hearing about what drew them to convert and join the Church. It is amazing to hear their stories, and how much their change has affected their life. Often these are stories that inspire me to become more faithful, and I couldn’t be more grateful for the inspiration. I recently read a post titled, “5 Year Later: An Inspired Catholic Convert”, and felt that it was worth sharing on the blog. The author Eric Neubauer has now been a Catholic for five years, and he has truly amazing story. Eric has already done so much for the Church, and this post describes his plans to do even more. He really is an impressive individual, and you should take some time to read about his conversion story and plans. Apparently it is pretty cool to be a traditionalist in the Catholic Church. I was unaware of this until a read an article on Economist the other day. They have reported that there is a Traditionalist Avant-Garde occurring in the Catholic Church. This is in regards to more people advocating a Latin Mass, something the Catholic Church moved away from about 50 years ago. The Latin Mass Society of England and Wales has seen a huge jump in membership within the last few years. The total of Latin masses in any given week is up from about 26 in 2007 to 157 in 2012. These are encouraging numbers. So the new trend is Latin Mass, and honestly whatever is getting people to attend is cool with me. What do you think about a revival of Latin Mass? It has been over a year since the new Mass translations have been put into effect. 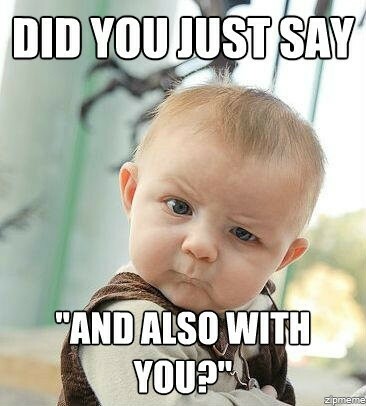 Hopefully you’ve all gotten used to saying, “And with your spirit” by now! A recent survey shows that 70% of Catholics are happ y with the new translations and think it was a good idea. The survey was conducted by the Center for Applied Research in the Apostolate at Georgetown University. 1,047 Catholics took place in the survey. It seems like mostly Catholics who said they went to Mass on a more regular basis appreciated the changes more. However, there are surveys that have been done to show the contrary. U.S. Catholic Magazine featured an interview that showed clergy and Mass goers are overall unhappy with the changes. So I suppose it really depends on where you get your information from. How do you like the new Mass translations? There was a large gathering yesterday at the Shrine of the Our Lady of Guadalupe in Des Plaines, Illinois. This celebration happens every year, and is led by the Archdoicesan Office of Hispanic Catholics. Father Marco Mercado, the director of the Archodiocese, led the gathering in prayer yesterday. The celebration numbered in the upper tens of thousands and could have reached 100,000. The celebrations began around 4 PM and ran until the final service Mass at 8 PM. The celebration is in honor of Our Lady of Guadalupe who is the Patroness of the Americas. This has been happening in Des Plaines for 25 years now, and it marks the date that Our Lady of Guadalupe appeared to an Aztec Indian in 1531. I read a post today about the restoration of Catholic culture, which began with a quote from Pope John Paul II. “A faith that fails to become a culture is not an authentic faith.” The post went on to talk about how Catholicism has become less of a culture in America recently. America’s culture has become based around greed, money, and a lot of atheism. The main issue that this post pointed out was the urban lifestyle that so many city dwellers have taken up. However, I see this as a challenge. The challenge is to strengthen our faith enough to change our environment, not the other way around. I don’t see the problem as the city lifestyle, but the lifestyle of people in general. The best thing you can do to change this is to live your life in a way that Christ would approve of. Hopefully your good actions will have an effect on others. 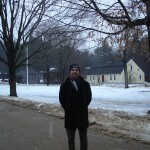 Author Brendan Barth lives in San Francisco, California with his wife and teaches at a Catholic school. He is the author of Andrew’s Christmas a children’s book about Christmas. The thing that I loved about Brendan’s book was that it is faith based and that is something difficult to find today. 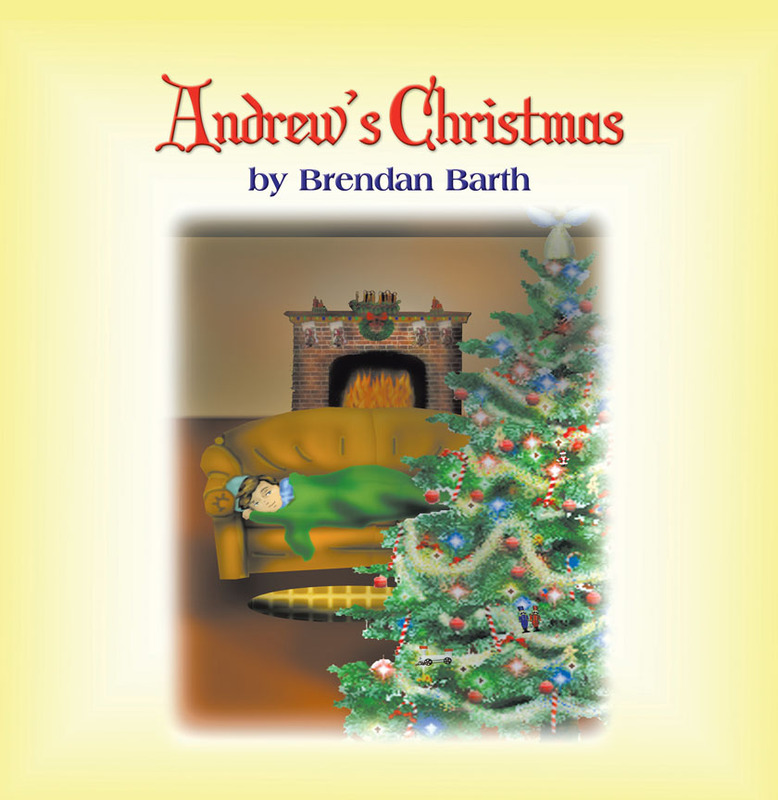 We had the pleasure of interviewing Brendan Barth about his inspirations and about Andrew’s Christmas. 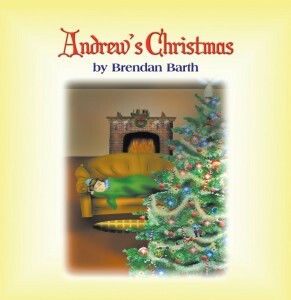 So your book Andrew’s Christmas came out in 2011, what were your inspirations for creating a holiday themed book? The inspiration came from teaching; my students came in hardly knowing anything about the origins of the Christmas story, from the Infancy Gospels to how the traditions came to America. So I set aside some time to do a unit plan on the history of Christmas, because if these smart Catholic students are so clueless on the history, how can they be confident about how they, in their present lives, view the season in relation to their faith? What is the one thing that you want young readers to take away from Andrew’s Christmas? That Christmas isn’t about commerce, and not to let that divine spark in all of us be dulled by media. This is a time for reflection and redemption, to be better people all year long. Hopefully, it’s a message that will connect also to the parent who is reading the book to their child. It seems that so many holiday books focus on things other than the birth of Christ. What inspired your focus in this book? Because it’s in the name: CHRISTmas, meaning Rite of the Anointed One. If we as people of faith don’t have this in the forefront of our minds and actions, the reason of the season becomes meaningless. So then people write books on reindeer or gift wrapping. When did you begin writing and what made you want to continue doing it? I always loved to write, whether it was letters, stories, even papers for school. If I don’t write every day, I feel bad. And to this day, I believe writing is the most elegant way to express an idea that is lasting. Where did the idea for Andrew’s journey through the tree’s ornaments come from? The idea came at a Christmas party at a good friend’s house. His six year old child at the party was bored by all the adults and their conversation, and he sat me on the couch and wanted me to tell him a story. We were looking at their Christmas tree with the angel on top, and I just riffed about what if we became really small and could have an adventure in the tree? He liked the idea, and we just did it. His name, by the way, is Andrew, and he and his family are true faith filled Catholics, and an inspiration to me personally as well as in my writing. Will there be more children’s books or other books to come from Brendan Barth? Yes! I have eight more planned based on the Andrew character on topics such as fear, faith, family, and Easter. The next one, hopefully out soon, will be on prayer. 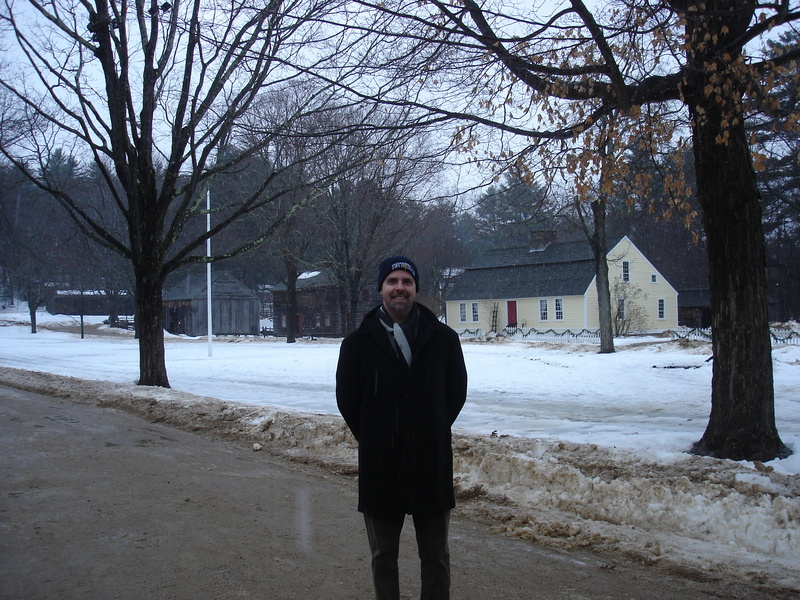 You can find out more about Brendan Barth on his website or by following him on Twitter!